I was excited when my friend Darnetha of ChippaSunshine asked me to participate in the Tour Through Blogland. I met Darnetha at the Haven Conference. I was on the dance floor during one of the evening receptions when I saw Darnetha and her friend looking wistfully at the dance floor. Being the social person that I am, I went and dragged her and her friend onto the dance floor! We had a great time dancing. I love the simple look of Darnetha’s ChippaSunshine lifestyle blog. Her homework caddy could be really useful this school year. The Tour Through Blogland is meant to give a little insight into my creative process and then lets me introduce you to two of my blogging friends. Today is also my birthday so that makes this the Tour Through Blogland Birthday Edition. I have three long term projects. The first one is Project 365. Project 365 is documenting life through one photo a day for a year. I have been doing Project 365 since January 1, 2009. In 2009, I used Becky Higgin’s Project 365 kit with plastic photo sleeves and 4×6 photos. In 2010, I started using digital scrapbook layouts to document my Project 365. At the end of the year, all the layouts are printed into one photo book. I order a 12×12 book for us and 8×8 books for our family. The digital scrapbook layouts look different each year. Here’s one of my layouts from earlier this year. You can see a complete year of my Project 365 for 2010, 2011, 2012, 2013. My family and I love looking through our Project 365 photo books. If I had to stop scrapbooking and crafting, I would still continue with Project 365. My second and third long term projects are personal yearbooks for my daughter’s second grade class and my son’s kindergarten class. For each month during the school year, I take a picture of each individual student and interview them about the event. You can read about the personal yearbooks that I did for my son’s pre-kindergarten class last year here. My kids just finished up their summer scrapbooks so you will see that post soon! I differ from other scrapbookers in the craft/DIY genre because my focus has always been on memory keeping: scrapbooking, Project 365 and personal yearbooks. Memory keeping is near and dear to my heart. I feel like life goes faster the older I get. I want to live and enjoy this moment but I also want to remember and enjoy this moment after it has passed. Why do I write | create what I do? I have been a stay at home mom since my daughter was born 7 years ago. My scrapbooking went into overdrive after she was born. When my son was born two years later, I realized I couldn’t keep up with their scrapbook pages with paper scrapbooking so I switched to digital scrapbooking. After a few months of digital scrapbooking, I decided I wanted to design my own elements and paper. 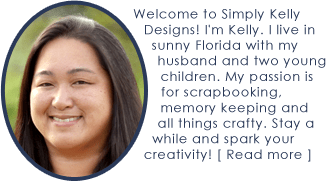 Simply Kelly Designs was established in 2010 as my digital scrapbook design business. 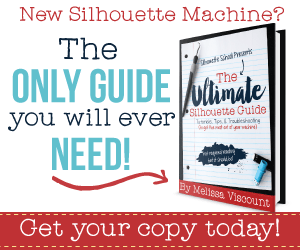 This blog was started to support that business to share my new product releases and digital scrapbooking tutorials. I have always been crafty and make a lot of the gifts we give to our friends and family. I am asked a lot of questions about how I made something so I decided to start sharing my crafts on this blog. I also enjoy the social aspects of blogging. I have met so many wonderful friends online and at blogging conferences I have attended. Interacting with my readers and customers on social media has also been a highlight. How does my writing | creative process work? I keep an updated list of crafty project ideas. When a birthday or special occasion comes up, I consult the list and create. For example, my family and I went on a Disney cruise earlier this year and I made these Disney Autograph books the day before we left. Sometimes a project stays on the list for years before it finally gets made! I photograph the projects in progress and choose what photographs to use in my blog post before I start writing. The actual writing of the blog post often takes more time than the project I created. All the digital scrapbook kits and templates I design are to scrapbook photos of my family. Here’s a digital scrapbook layout I created last month of my daughter and her LEGO creations. My first step in designing a digital scrapbook kit is to create a color palette. I feel the colors set the mood for the designs. After creating a color palette, I make a list of all the papers and elements I want to create. I find that it is easier to work off of a list so I know when I am done. Designing the kits myself guarantees that I will have all the elements and papers that I want. I like to participate in digital scrapbook blog trains because the color palette and theme is chosen for me. This challenges me to go outside my comfort zone. Check out my Freebies category to see what blog train goodies I currently have for download. I have made some wonderful friends online through blogging. Two of those friends are Michelle of Weekend Craft and Rachel of Lines Across. I am happy to introduce you to them today. Michelle is a designer that has a passion for crafting, DIY, upcycling/repurposing and painting almost everything teal. When she’s not blogging you will find her thrift shopping or scouring yard sales. She has a passion for pickin’ and mixing vintage with new. I “met” Michelle of Weekend Craft in the Silhouette Challenge Facebook Group. I knew from only reading her posts that we would be fabulous friends and it turned out to be true! I had the pleasure of hanging out with her in real life at the Haven Conference. I grew up wishing I was Anne of Green Gables. When I found out that Michelle used to spend summers on Prince Edward Island (Anne’s home) I knew that we were meant to be friends. My favorite Weekend Craft project is this customized globe. Michelle use vinyl to dress up this globe with a fun quote. Hi, I’m Rachel. I’m a mom to three little ones, and I’m the author of the creative blog Lines Across. I especially love sharing projects that take less than 30 minutes and can be made with crafty supplies and everyday items you probably already have at your house. I’m a little obsessed with bright colors and geometric shapes, and often share free printable gift boxes. Some of my other favorite projects involve polymer clay and DIY jewelry. I love travelling and experiencing new things, but lately most of my adventures take place close to home. I met Rachel of Lines Across through the Central Florida Craft/DIY bloggers group. I love following her on social media because she has the most adorable children. Her youngest is only a few months old and his photos almost make me want to have another child! One of my favorite posts from Rachel is this printable pencil box. I think it would be perfect to use for a teacher gift. I hope you have enjoyed my birthday edition of the Tour Through Blogland! Next week Michelle and Rachel will continue the tour on their blogs. Wow I knew you were a scrapbooker but I never realized that project 365 is a picture everyday! Now that is dedication and is impressive! Thanks so much for including me in this tour!